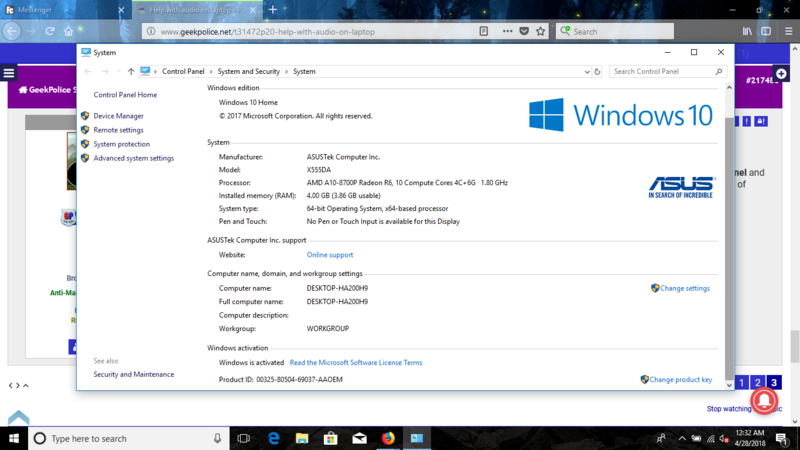 Downloaded Windows 10 64-bit, now what? Hold on please i'm also downloading the driver so i can guide you better. 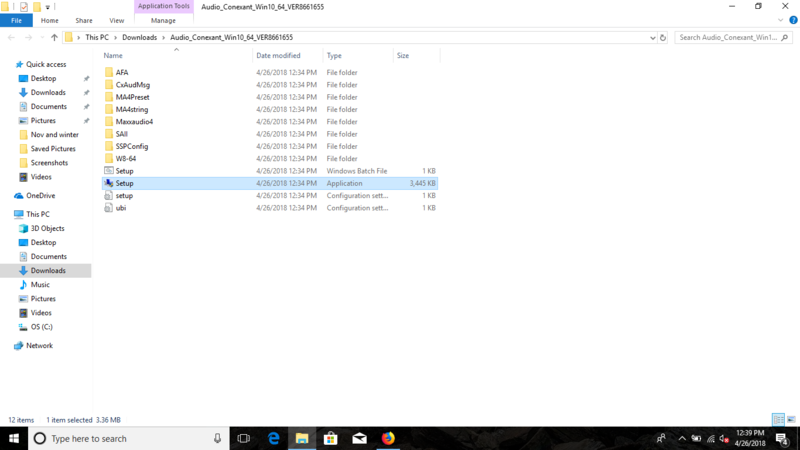 Okay please unzip the driver if you right-click the downloaded driver .zip archive you would get a option to extract the .zip archive. After extracting the audio drive files, double click Setup.exe file and follow the instructions to install the driver. @bayside i'm sorry but i have to go, can you please update me in your progress. No problem, i will be online in few hours i hope to see you then. When you do see this... What do i click here? That version won't install, do you have the link to the 32-bit version? There is no 32-bit version of this audio driver. Please press Windows Key + Pause/Break key to open system properties. You can also open system properties by typing Control Panel and select "Control Panel" in the search result. From Control Panel click System to open system properties and please post a screenshot of system properties window. Can you also please post a screenshot of the audio driver installation error message. 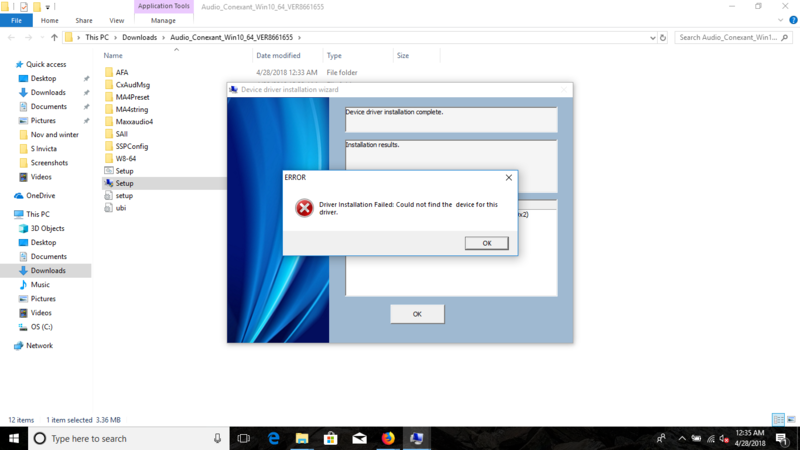 You are using 64-bit version of Windows 10, its not the audio driver causing the problem its the malfunctioning audio card causing the problem. Let's reset the BIOS settings to its factory default settings and try reinstalling audio driver again and if it fails to install again then you have no choice but to contact the Asus technical service. Restart your laptop and soon as it powers back on press F12 key during the post. Use the directional keys to select Save & Exit tab, select Restore Defaults option and press Enter key. 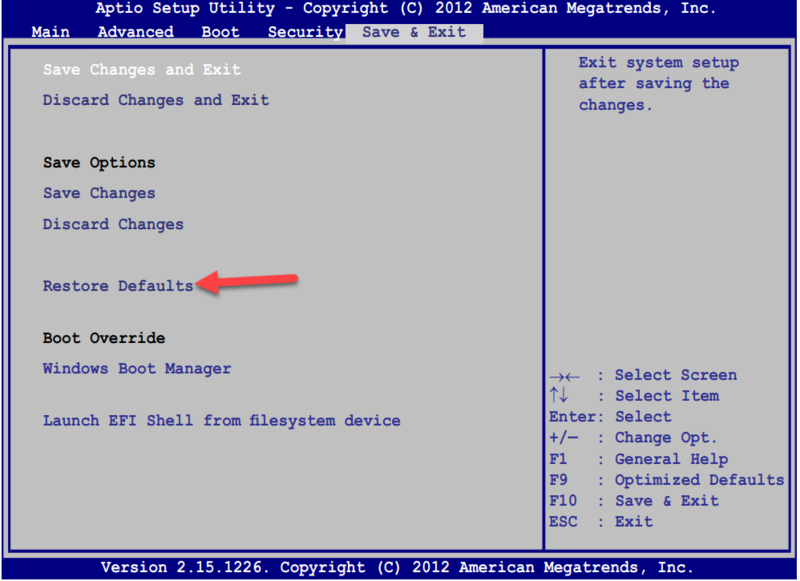 After resetting the BIOS to its factory default settings save the changes and exit BIOS. Try installing the audio driver again also try installing below driver if both fails to install then you will have to contact Asus technical service. As soon as it turns on, I hit the F12 key. However it just continues to the login screen. This has been such a pain in the a$$, I'm sure for you too. Thanks @bayside, i'm use to dealing with worst so you can say i'm use to it. When i was reading your laptop manual there is a guide there for accessing BIOS setup and the guide said press F12 key to access BIOS setup. Try F2 key also some computers soon as its power on will display a manufacturer logo alone with which key to press to access BIOS setup.